Click this to view useful information about the survey file. For the files that you are importing, the survey details including client, survey company, equipment, parameters and processing sequence are displayed. Data including inline/crossline values are also supplied. Click this to view additional information about the contents of the SEG-Y data file. 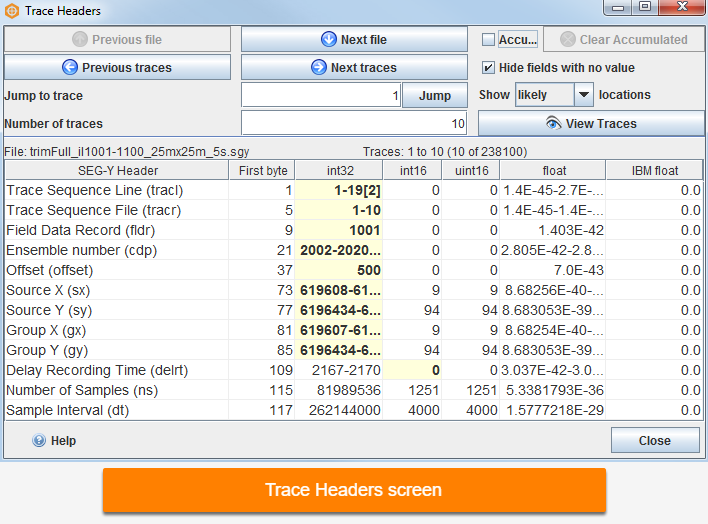 Here, you can find important information including sample interval and samples per trace. Previous file and Next file — If you are importing multiple SEG-Y files, click these to display the contents of each file. These buttons will only be enabled if you are importing more than one SEG-Y file. 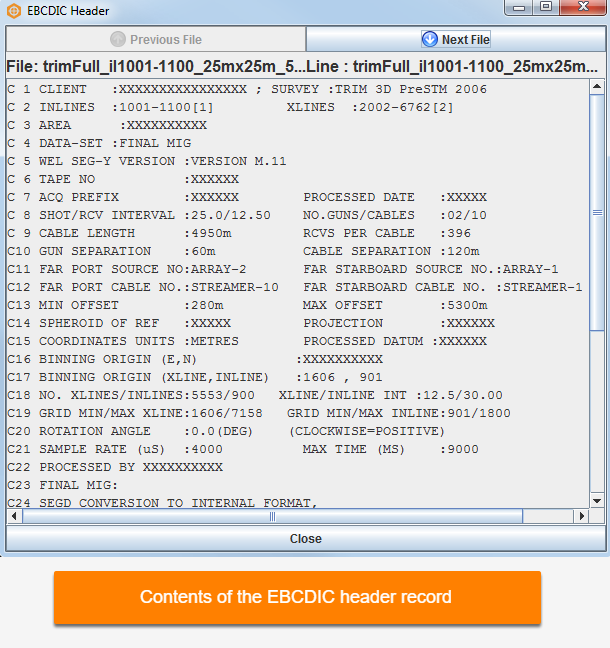 Show — Filter the displayed data based on the First byte column. Showing all odd will display only the odd values in the column, and similarly, showing all even will display the data on all the even rows. You also have the option from this field to show all, standard or likely rows for mapping in the dataset. 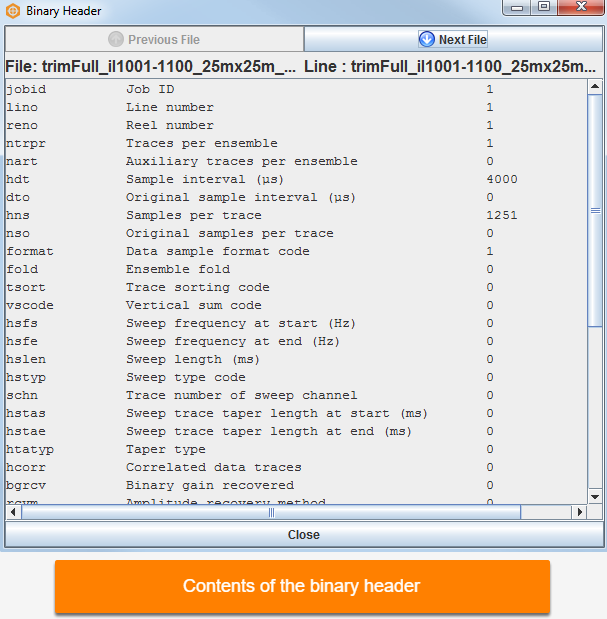 Headers that are crucial for the import of data into Insight are presented at the top of the Specify the byte locations of headers window. You may want to expand the Advanced Mappings pane at the bottom of that window to remap other data within the SEG-Y file to their byte locations.